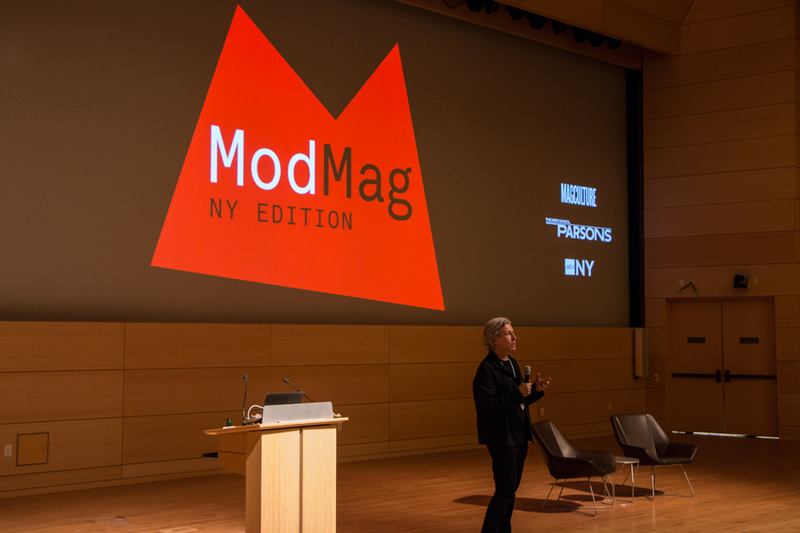 After 5 editions in London, magCulture's Modern Magazine conference headed to New York City for the first time last week. 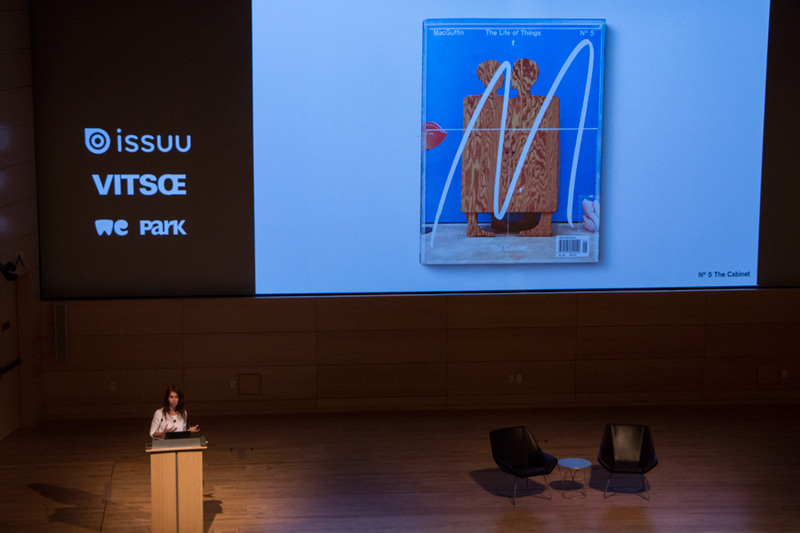 At Parsons School of Design, a mix of speakers from new and established publications took the stage for a full day of talks celebrating the best in magazine creativity. We were proud to again sponsor the event's programme, printed as tabloid newspaper. Below, a quick roundup of highlights from the day. "Can people really live without clutter?" 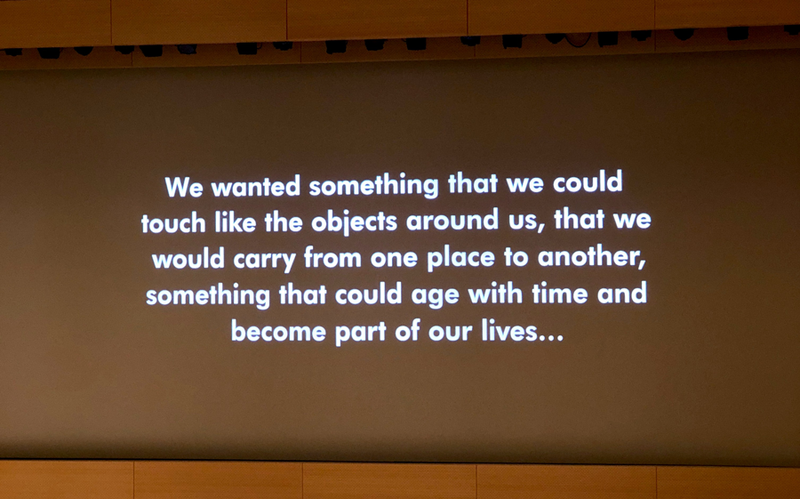 This question, from Witold Rybczynski's book Home: A Short Story of An Idea, is at the heart of Apartamento, one of the longest running publications represented at ModMag. Omar Sosa founded the magazine in Barcelona in 2008, after becoming frustrated by the sterile interiors he encountered while looking for a new apartment. 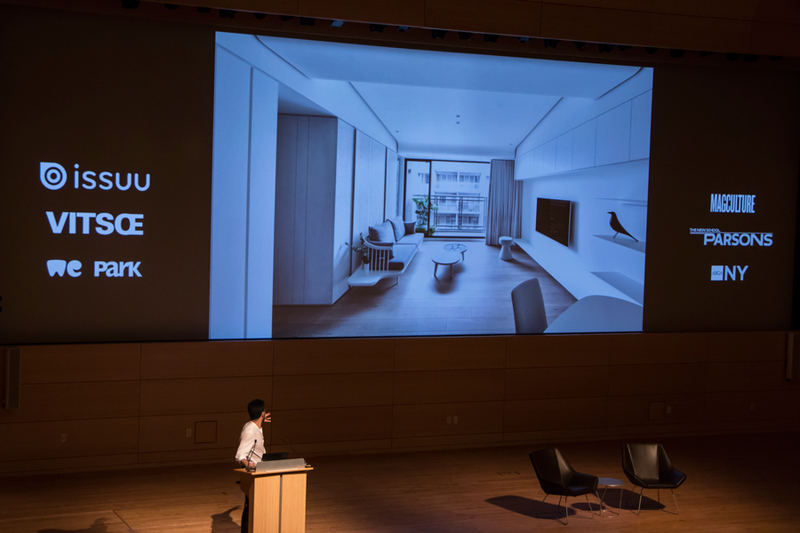 Apartamento doesn't put its stories online – as Sosa explained, this makes them "too accessible". Instead, select articles are temporarily available through the Apartamento app, a clever way to catch new readers' attention while preserving the value of the print magazine. 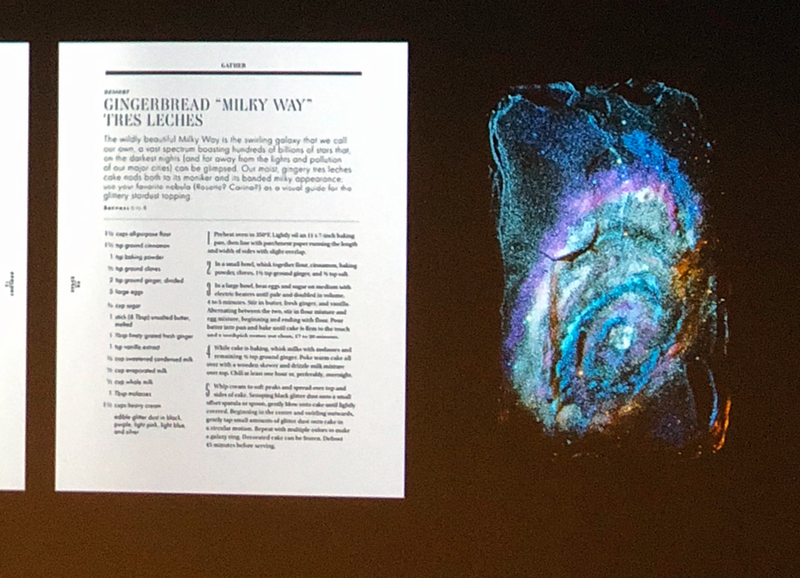 This was the first example of what would become a theme throughout the talks: the ways in which print and digital publishing can support each other. 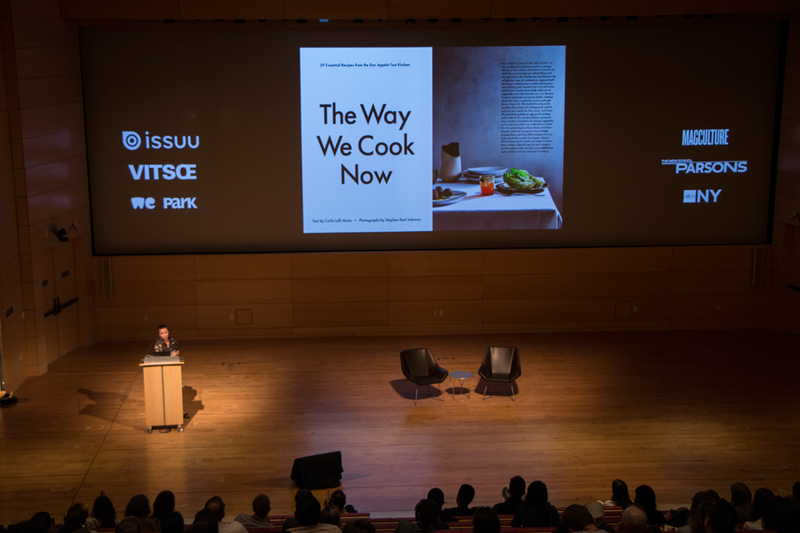 Like Apartamento, Gather supports its print content with an app, where subscribers can access a full archive of recipes. 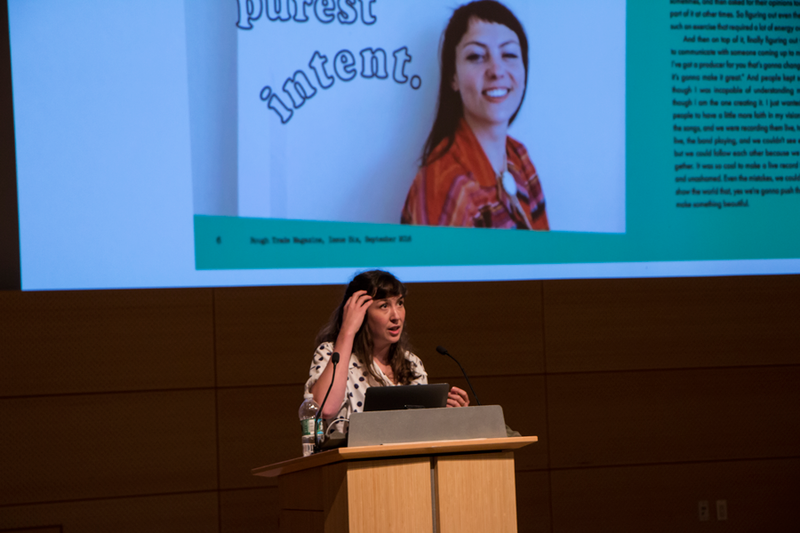 Outland now balances her work at Gather with her new role as Creative Director of Condé Nast title Bon Appetit. 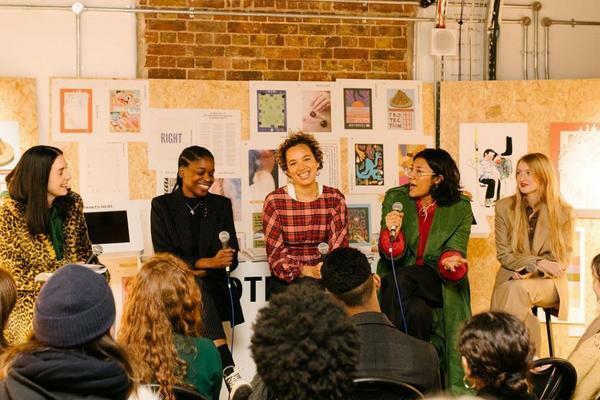 Drumm revealed that Eye on Design has received more press in the months since releasing the magazine than in their 4-year history as a digital platform ("No one takes you seriously until you make a thing.") 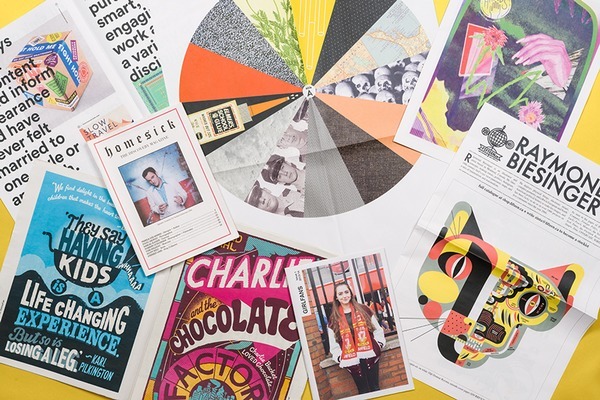 AIGA is using the magazine as a vehicle for new partnerships, and each issue will have a different guest designer – starting with Maziyar Pahlevan for this first one. We also learned about controversies that doomed the magazines. Editor Ralph Ginzburg was jailed for obscenity after publishing 4 issues of Eros and a 1964 cover of Fact prompted the"Goldwater Rule", which prevents psychiatrists from diagnosing people they have not examined and is still relevant in today's political discourse. 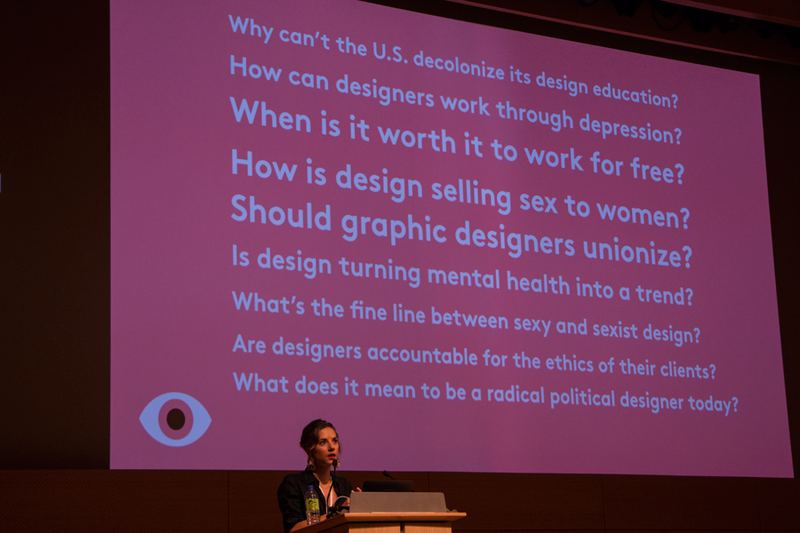 After publishing 18 issues, the magazine folded at the end of 2017. 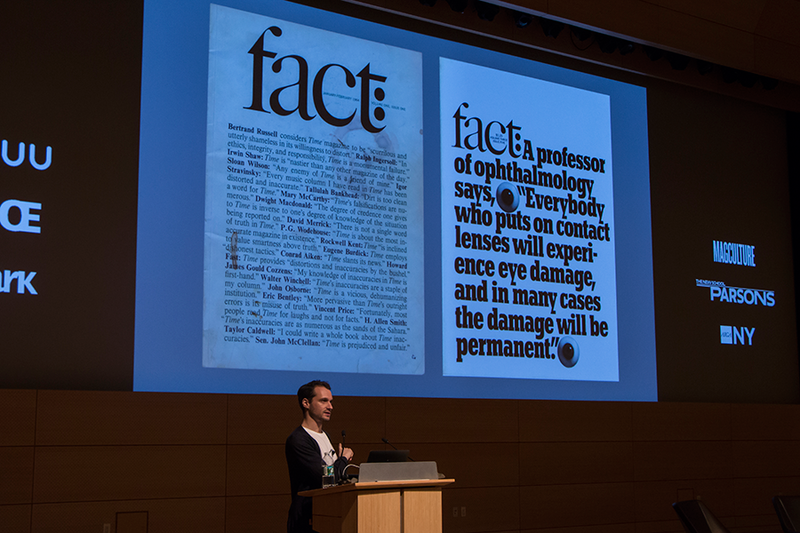 But Siddall's talk was a heartening reflection on the joys of putting together a publication with "no budget, no time, but lots of great people involved." 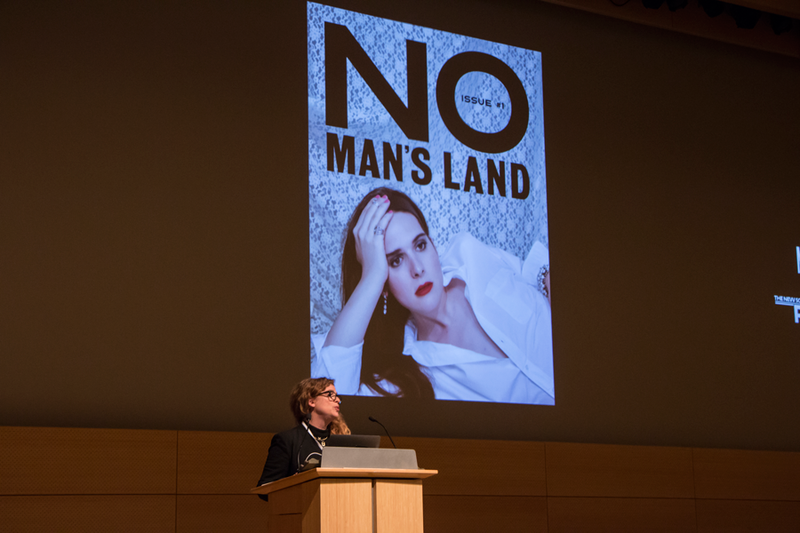 No Man's Land is a new magazine "for women with something to say and nothing to prove" published by women-only work space The Wing. 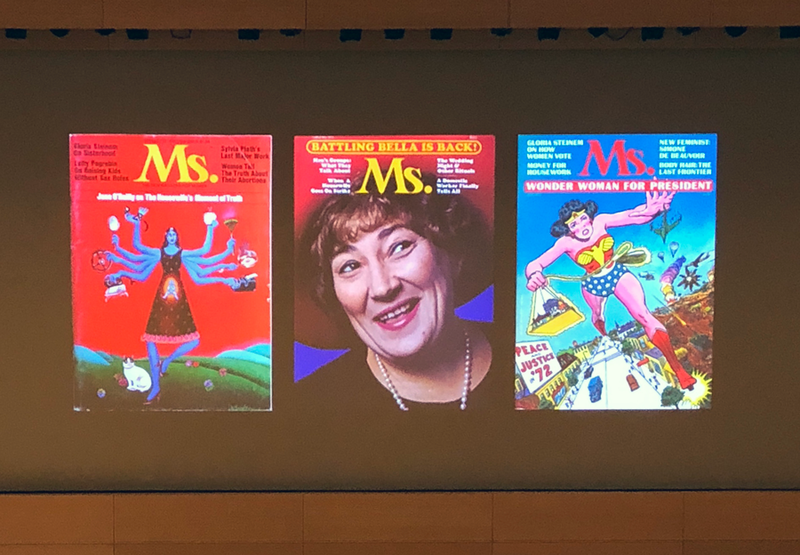 Designer Emily Oberman of Pentagram gave us a brief history of the feminist titles they looked to for inspiration: Spare Rib, Nova, Plexus, Sassy and Ms. to name a few. 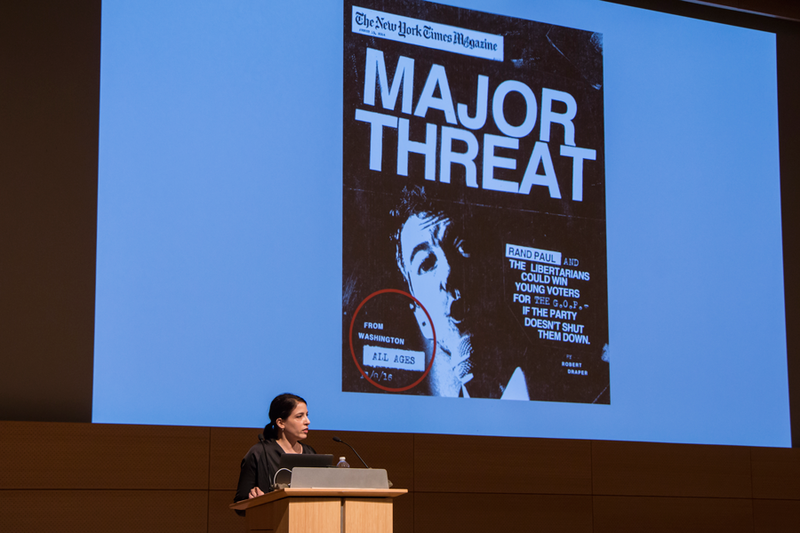 Gail Bichler, design director of The New York Times Magazine, was the last speaker of the day. 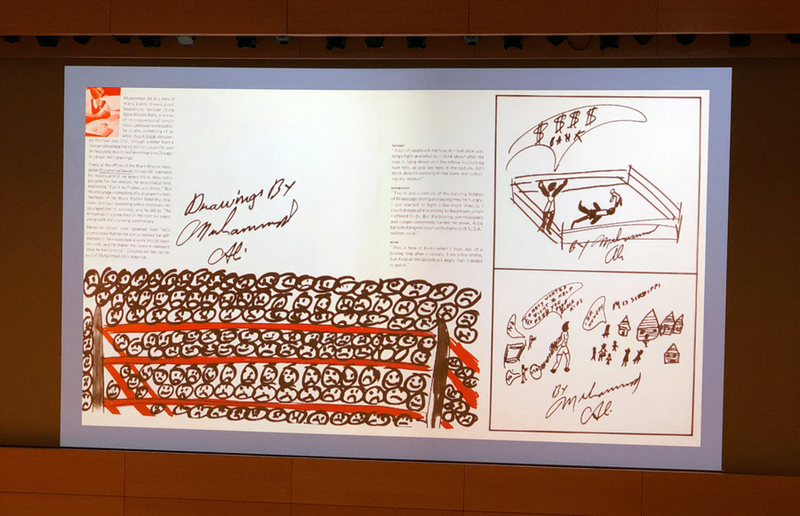 She walked us through the design process for some of the more memorable covers of the past couple years. We also saw rejected drafts – like a cover featuring microphones made out of friend chicken, which looked great but didn't make a clear enough point. 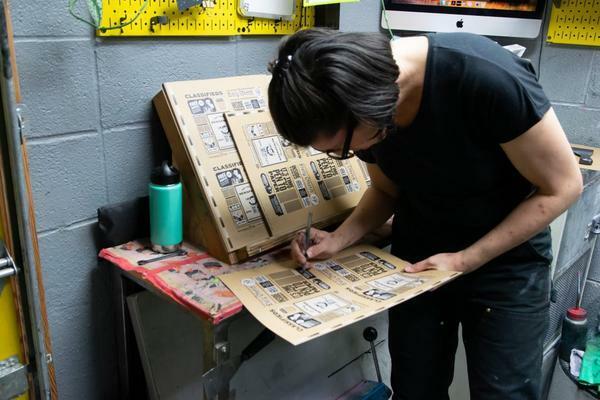 Bichler credits the punk-inspired cover above – a last minute revision of another design – with getting her promoted to design director. She says it demonstrated her willingness to challenge and improve her own ideas. 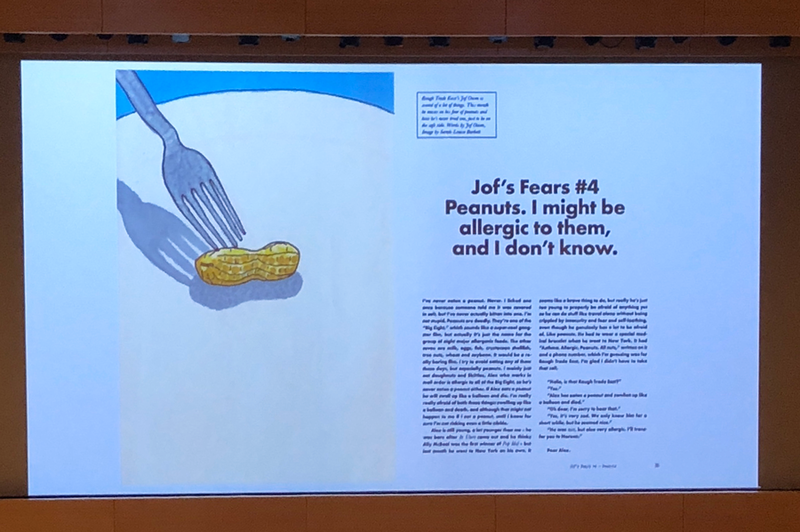 We also got a peek at special projects from the newly formed NYT Magazine Labs, which is responsible for innovative print supplements like the Kids section and a fold-out, annotated edition of the Constitution. 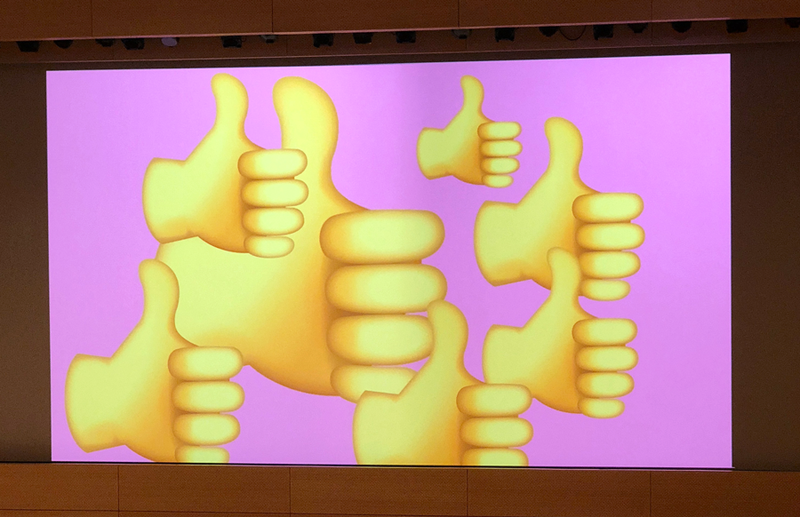 The slide above sums up our thoughts on the day. 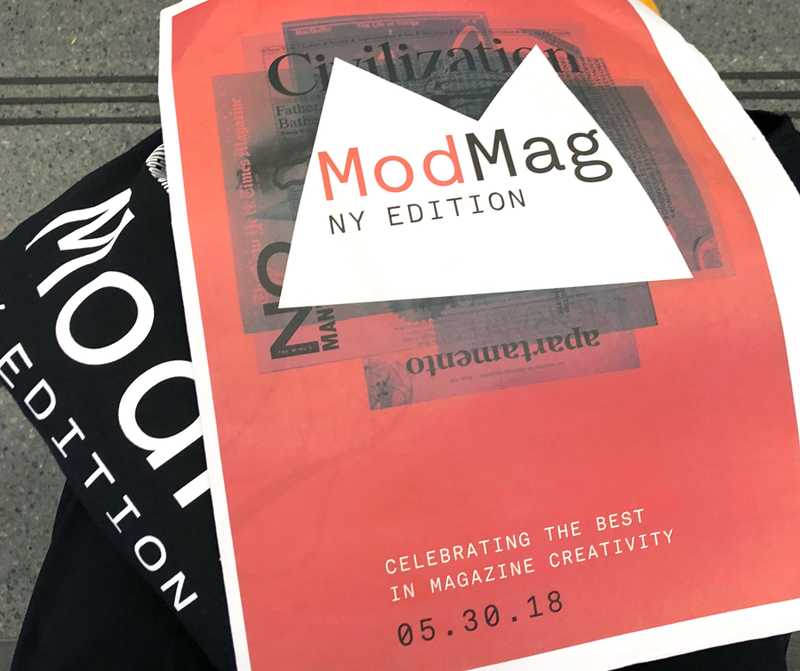 Thanks magCulture – see you next year!